Our mission is to teach Irish step dance in a safe and effective learning environment. 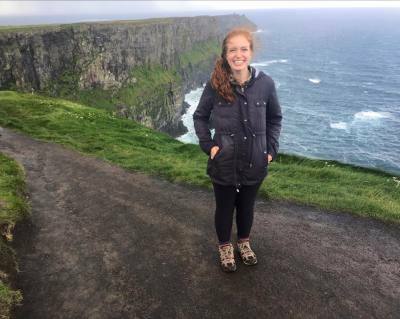 Each student is encouraged to enjoy and appreciate Irish culture. We help each student develop self confidence, healthy living, and to be their best. 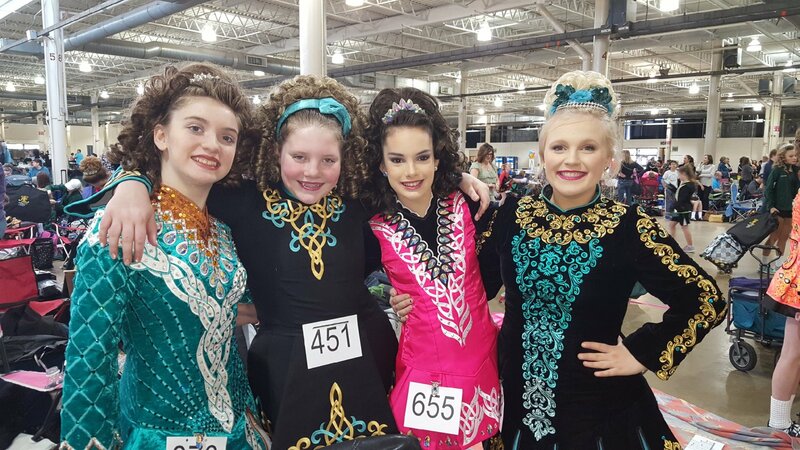 Your goals are our priority, whether your interest is increased involvement with your Irish Community, exercising, competing or professional dancing, or just to have fun! I began Irish Step dancing at five years of age under the direction of Ann Richens and John Timm. Over the course of my career, I have competed at the Regional, National and World Champion levels. I was ranked 5th in the Mid-West, 11th in the Nation and was a seven time World Championship qualifier. I began dancing professionally with Michael Flatley’s Lord of the Dance in Biloxi, Mississippi in 2000. The cast toured Mexico, Alaska, Canada, Australia, and much of the United States. In 2003 I joined the famous Trinity Irish Dance Company from Chicago. With Trinity I toured Japan, Costa Rica, Alaska and the United States. I retired from professional dancing in 2007. I am now happily married to my husband Justin Henry, and have one son, Tyler and one daughter, Teagan. I completed my T.C.R.G., certifying me to teach Irish dance to children and adults in January of 2010. 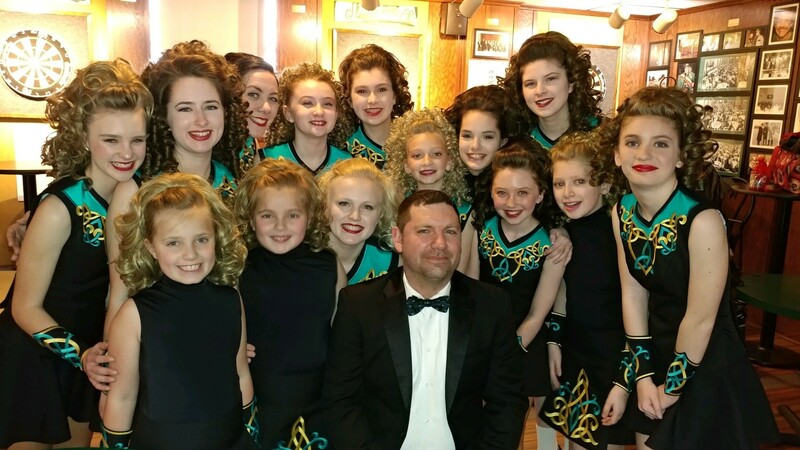 I am the lead instructor and founded the Irwin Academy of Irish Dance with the support of the Irish community in central Ohio. I am proud to be the owner and teacher of one of the most respected forms of dance in the world! 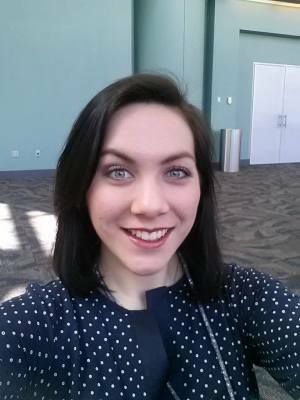 I am currently taking classes at The Ohio State University majoring in Fashion and business while performing occasionally with Trinity Irish Dance Company in shows around the United States. I began Irish dancing at the age of 14 under the tutelage of Ann Richens and John Timm. In the fall of 2011, I joined The Irwin Academy of Irish dance, working with Katie Henry to achieve my dream of becoming an Open Championship dancer. Over the course of my competitive dance career, I have competed at the Regional, National, and International levels – something I never would have thought possible for a dancer who started much later in life than most of my competition! Through Irish dance, I have discovered a passion for physical fitness. I am currently pursuing my T.C.R.G. and a personal training certification in order to train the next generation of dancers to reach even bigger goals! I married my college sweetheart – Josh Smith – in 2009, and graduated with a B.A. in International Relations: Intelligence and Security from The Ohio State University in 2010. I am a veteran of Operation Enduring Freedom and am currently a Captain in the Ohio Air National Guard. 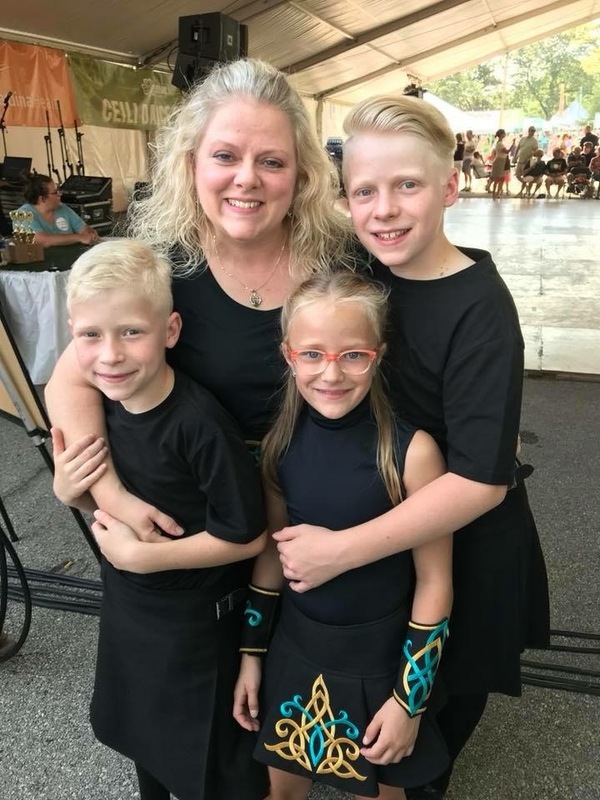 I began Irish Step Dancing at age 4 with the Theresa (Tessie) Burke School of Irish Dance in Youngstown, Ohio. I danced competitively for 14 years. I competed in several Midwest Orieachtas competitions. My highest achievement was 11th place at the regional level. I qualified 3 times, and also competed at the World Championship level in Ireland. I was studying to take my TCRG when Mike and I moved here to the Columbus area, and started our family. We have 4 beautiful children Liam, Griffin, Nora and Brennen. Three of them are current Irwin Irish Dancers. I have a Bachelors of Arts degree in Psychology and a Bachelors of Science degree in Nursing. I am a Registered Nurse at St. Ann’s Hospital where I care for postpartum Mothers and their Babies after delivery. I love what I do!! I have now been Irish Dancing for 40 years in one way or another. I love Irish dancing, it brings people together, and it makes me happy! I enjoy teaching the kids what I know, and helping them to achieve their own goals. I love the Irwin school. I am happy to help Katie, and the Irwin Academy out in anyway I can!! After tagging along with my mom to her Irish dance classes at Richens/Timm and watching my Riverdance VHS tapes on repeat for the first 5 years of my life, I finally started Irish dancing when I was six years old at the Shanahan School of Irish Dance with Peggy Shanahan. When Shanahan closed, I transferred to Regan Rankin Holland, where I competed in teams and solos, going to Oireachtas, North American Nationals, and one World Championships. During high school, I also served as the president of the Daughters of Erin Junior Division. I eventually went to college at the University of Notre Dame, where I majored in English and Irish Language and Literature. I danced with the ND/SMC Irish Dance Club for four years, performing at pep rallies, basketball games, and tailgates. During my senior year, I was one of the club's co-presidents, which gave me the opportunity to run practices, teach new choreography, and lead the club's performances and annual showcase. I also got to be a member of the ceili team that Notre Dame sends to the All Ireland Championships every year, where we got first place. I graduated from Notre Dame in May of 2018, and came back home to Columbus. I'm so excited to be back helping out at Irwin this year!